Indian badminton ace star P V Sindhu believes she would be in top form at the BWF’s World Tour Final as a recent break gave her the time to be well-prepared for the season-ending tournament starting December 12. Olympic silver medallist Sindhu, who finished runners-up at the last edition of the event in Dubai, skipped last week’s Syed Modi International in Lucknow to focus on the USD 1,500,000 event to be held at Guangzhou. It is the third time that the Indian ace qualified for the prestigious event and asked if she would be in better form this time, Sindhu said: “Ya, because I have enough time to prepare this time. “I hope I do well in this tournament. I am confident of giving my best. It is one of the biggest tournaments with all the top players and it will be tough but I really want to win it.” Sindhu continued her impressive form this year, claiming silver medals at all the major events — Commonwealth Games, Asian Games and the World Championship, besides finishing runners-up at India Open and Thailand Open. ALSO READ: Why Brands Are Choosing 'Influencers' Over Celebrities? “Sometimes you don’t play up to the mark and you win even then. You think that you should have played better. You have to just think it is not your day. For example in 2017 World championship final, it was not my day because I gave everything in that match,” she added. So who were the players she found difficult to beat this year? “I feel everyone is of same standard, it is not like one is tough. It is all about that particular day. You can see a lot of juniors coming up, so we have to give your best against even the lower-ranked players,” she said. On her six successive losses to Chinese Taipei’s Tai Tzu Ying, Sindhu said: “Of course Tai Tzu is a deceptive player, she is the world No.1 but still I feel it was about that particular day. “Actually, I feel it is not so tough…you have to prepare for her strokes. She (Tzu Ying) is deceptive in the sense that she has that confidence in her that if she plays a particular stroke, she will get that point. “But if we can keep the shuttle in the court and take her strokes then it should be fine,” she explains. In a gruelling season, Sindhu played as many as 18 tournaments and she said there is hardly any time to reflect on the matches. “We don’t have much time but whatever time we get, we need to analyse and know what mistakes we are doing. We have to pick our tournaments where you can give your best, it is tough, you have to be mentally and physically fit. “It is very important to be confident and strong even if you lose, because you know there are tournaments coming up next and you have to be prepared for it,” she said. 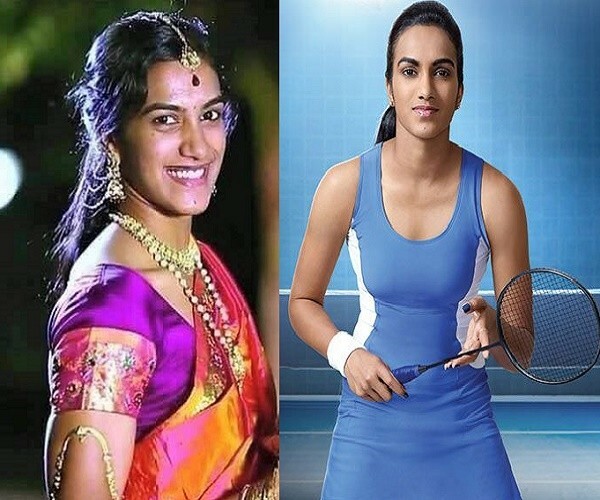 Once the World Tour Finals are over, Sindhu will turn her attention to the Premier Badminton League (PBL) where she will play for Hyderabad Hunters, taking on Olympic champion Carolina Marin, in the opening match on December 22. Are Summers In Indian Cities Becoming Hotter And Monsoons Wetter?